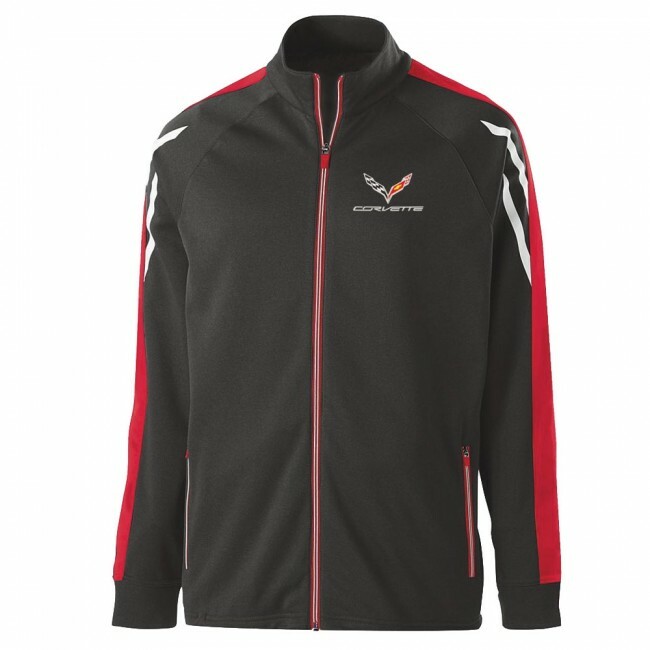 This 3-color full-zip jacket is soft, comfortable and stretches with you. Red colorblocking and accents on sleeves, zippers and pulls, and white silicone taping accents. Dual interior, and two exterior front zip pockets. Adjustable hem with hidden drawcord. C7 crossed flags and signature embroidered on left chest. 100% polyester. Imported.